Iraq, 2004. Lawlessness is spreading throughout the country and looters have plundered the museums and historical sites. Mina Osman, a young American archaeologist of Iraqi descent, is fighting to preserve the country’s antiquities. When she stumbles upon an ancient cuneiform tablet, it proves to be of unimaginable significance – its cryptic language holds a secret that will play a part in a series of earth-shattering events. 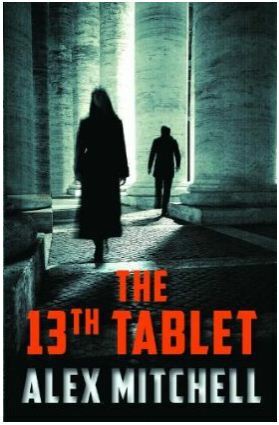 Aided by ex-US Army Major Jack Hillcliff, Mina travels across the world to unlock the secrets of the 13th Tablet but at each step she is pursued by deadly enemies who will stop at nothing to obtain the tablet and its power for themselves.